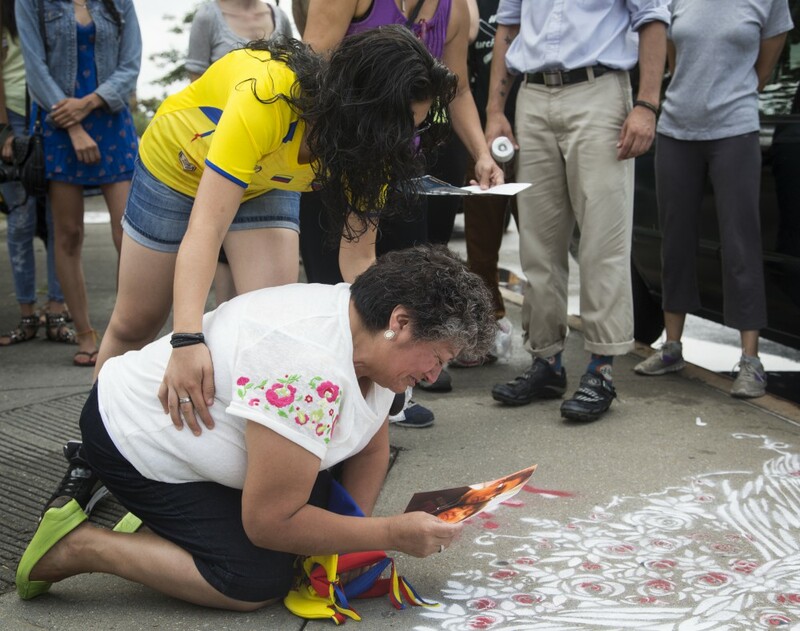 Being consoled by her daughter Sarah Bravo, Martha Puranjacas weeps while holding a picture of her son Luis Bravo at a memorial on August 3, 2014, in Woodside, Queens. Luis, 19, was killed by a hit-and-run driver on September 28, 2013. The memorial was painted by activist group Right of Way as part of the Ride of Remembrance and Hope, in which victims of traffic violence across New York were memorialized with stenciling at the locations of their deaths.